As a business owner and member of the workforce for 38 years, I still marvel at how few women there are in leadership roles. Don’t get me wrong when I was a child, my mother was one of the few women who worked in an office and was not the secretary. When I was in high school taking the required typing class, my father advised me not to learn how to type because I would be made a secretary. To this day I type with two fingers. While women have come a long way, we have only scratched the surface. There is still A LOT of work to be done. As women, we have to be confident and express our opinions no matter how much we are discounted and looked over. We should come back fighting and never say you are sorry. Today VanillaSoft hosted a Facebook Live session with select members of our sales team. 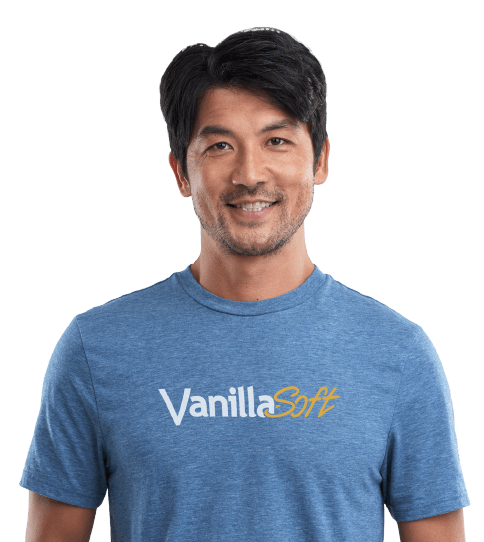 VanillaSoft CMO Darryl Praill shared research and asked some hard questions about the state of women’s equality and empowerment. Our panelists included Christy Bernal, Emily DeBoard, and Rachel Spencer shared their opinions with viewers. On how to move progress forward to support and empower women. What is your story about how you empowered yourself? What advice do you have for women in sales? Share your thoughts in the comments below. Genie brings more than 30 years of experience in sales and marketing with an emphasis on doing business on the phone. Genie comes with a broad experience reaching into hundreds of industries including technology, manufacturing, non-profits, financial services, and business services. Prior to joining VanillaSoft, Genie Parker co-founded Parker, Murray and Associates, a remarkably successful boutique outbound call center. Genie's company consistently delivered sales, qualified leads, appointments, marketing and fund-raising services to businesses from The Fortune 500 to small businesses across the United States for 15 years. Got questions? We’ve got answers. Sometimes talking to a person is easier than reading a manual or searching on the web. Contact our support team and speak to an expert within 5 minutes. We believe in quick, effective support to ensure a seamless experience.